CAN CONTRIBUTE TO ENERGY SECURITY, HELP REDUCE ELECTRICITY CONSUMERS’ BILLS, AND IS SEEN BY ALL MAJOR POLITICAL PARTIES AS A VIABLE SOLUTION TO OUR ENERGY ISSUES. HAS OVER 100 YEARS OF COMBINED EXPERIENCE IN THE RENEWABLE ENERGY AND RESIDENTIAL INDUSTRIES. 4. 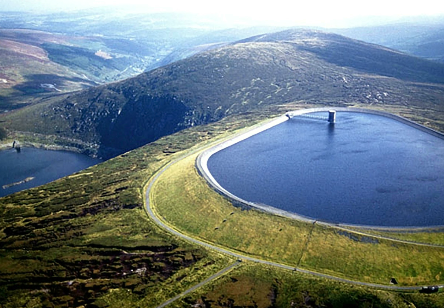 For Pump Storage Hydro (PSH) all planning decisions will be made at Scottish Government Minister level where there is known to be great support for PSH. 8. Our residential projects have already yielded results in Scotland. 9. Our sites are selected via a rigorous assessment procedure ensuring they have best chance possible to attain planning permission. 10. Our advisory board has over 100 years of combined experience in the renewable energy and residential industries. In both the private and public sectors. ILI Group and their dedicated team have a proven track record when it comes to securing all the necessary permissions for energy projects. We build a strong relationship with landowners and ensure that the project is delivered in a timely and suitable manner. We offer the full project solution; a secure option and lease, planning permissions, all other relevant permissions required and a viable grid connection solution meaning we take care of all aspects. Why not send us a mail?